Where your office is located contributes to how your work day progresses and also how you ultimately feel about your career. We spend more time working and in our respective offices than we do in our homes with our families so everyone knows just how important it is to enjoy your career, your office and to get along with your co-workers. Bonita Springs is a community that is naturally stunning and it is known for offering some of the most outstanding office spaces with breathtaking views of the surrounding golf courses, beaches and lakes. Successful executives understand how important first impressions are and they strive to provide a work environment that allows them to conduct business in a professional manner. They know that a comfortable and attractive office space is good for business and that it is important to keep employees satisfied. If you could choose between a grey cubicle in an office with no windows or a spacious office with views of Estero Bay, which would you choose? Whether it’s architecturally significant or perfectly located in a luscious and busy center the offices in Bonita Springs allow companies and individuals to thrive. Here are some of the coolest offices in Bonita Springs with outstanding accommodations and amenities. The team behind Waterford Executive Centre provides busy and successful professionals with elegant and beautifully furnished executive suites that are located right in the Naples-Bonita Springs-Estero corridor of Southwest Florida. The offices are equipped with designer décor, a beautiful reception area, the latest technology, state of the art teleconferencing, entertainment options and everything a professional may need to succeed. The Crexent Business Centers have been providing office spaces to working professionals since 1989. Whether you own a company in need of office space or if you are looking for a place to find solace and work in peace you are sure to find the various office locations provided by The Crexent Business Centers as an outstanding option to find success. Each location provides tenants with the outstanding amenities such as a professional receptionist, state of the art technology, central locations in busy areas and a wide range of services to assist companies and professionals in their personal success. Strada Place is conveniently located on the corner of US 41 and Vanderbilt Beach road and it is the only office space available in Mercato, which is one of Naples’ most upscale locations. The office building is walking distance to shops, restaurants, theaters and more. Strada Place is beautifully designed, fully furnished and staffed to accommodate to the needs of all on-site professionals. Fashion Drive offers one of the best locations for business professionals in Southwest Florida. It is located in the heart of the Coconut Point business district and it is ready for you and your business! The office spaces are fully furnished executive office suites and working space with the finest amenities available to working professionals. Whether you are looking for a virtual office, co-working space, temporary office space or a long-term location for your business you are sure to find what you need at Fashion Drive. This office space right on Vanderbilt Beach Road is adjacent to The Mercato – Naples’ newest upscale dining and retail center. 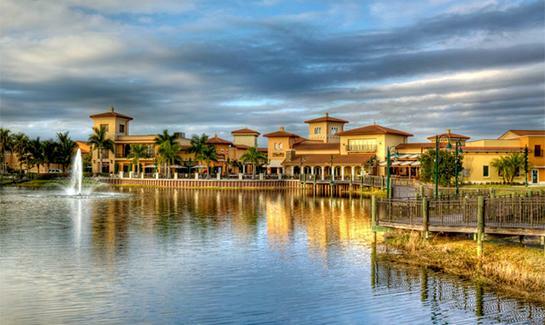 The office is ten minutes away from downtown, Old Naples and luxury hotels and restaurants. Elegantly furnished, fully staffed, equipped and ready for your business this office space offers modern facilities in one of Naples’ finest locations. The Beachway Professional Center has everything you may need to succeed in your business and thrive. This is a spectacular and well-maintained professional office building centrally located with convenient access to Bonita Springs, Naples and South Fort Myers. With outstanding architecture and decorative interior finishes you will not only impress your clients and co-workers, but you will feel good spending time at work. There is abundant parking and outstanding amenities available and the offices can also accommodate certain medical practices. Sunshine Plaza is one of Bonita Springs’ highest quality office parks. The building offers beautiful lake views from luxurious executive suites and also has large conference rooms, training centers and outstanding professional accommodations and amenities. Sunshine Plaza is located on Bonita Beach road and is conveniently located to fit the needs of every professional. Need Help Finding an Office or Home in Bonita Springs? Finding the best workplace location is an important factor in the business world. The right space for your business will inspire and motivate you to work hard, keep profits up and maintain the perfect work-life balance. If you would like to learn more about some of the coolest offices in Bonita Springs or about the outstanding amenities available in this beautiful city don’t hesitate to connect with our team at DNA Florida Real Estate today.